No one likes going through a breakup, even if it’s for the best. It hurts. It can cause self-doubt even if you know you did the best you could and are worthy of a great relationship. Anger can easily arise because you’d put your heart on the line and focused time and attention on someone you cared about. Disappointment sneaks in not-so-quietly as yet another relationship fails. And the fear of ending up alone forever is very real. 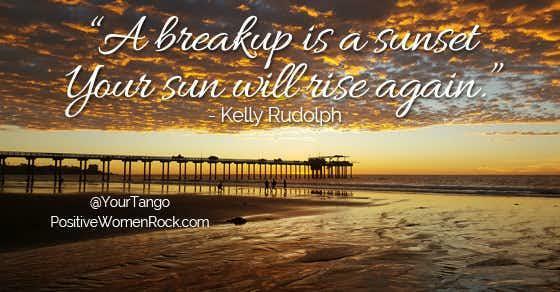 Fortunately, there is an empowering way to look at a breakup. Your life has been shaken, tousled around, and perhaps turned upside down. Surprisingly, now is the perfect time to gain strength, confidence, and self-respect… if you play your cards right. Your newly-single time is ideal for reexamining who you are and who you want to be. It’s a time for reinvention if you want to create a different kind of life and love for yourself in the future. Doing it while single gives you the freedom to take your time and dig in deep without concern about what your partner thinks or feels about it. Improving your mindset, beliefs, spiritual connection, health, or body raises your energetic vibration to a higher frequency. Like a radio station, you can only find people or opportunities on your same frequency. By raising it, you will attract a higher frequency (more personally evolved) man next time. If you don’t like the results you’ve gotten in your relationships, it’s time to change you, not partners. Here’s why it’s smart to do this reinventing or transforming while single. When you re-work yourself during a relationship, you can outgrow him unless he’s growing in the same direction at the same pace. 1. You're focused on fixing your own issues. When you are evolving personally by working on yourself and attract a man who has worked on himself, you are on the same page and can stay together. Because you both have personal development as a common denominator and use it as a tool to grow your relationship stronger instead of growing it in opposite directions. 2. Your deep beliefs may not make sense ... logically. If you know (logically) there are good marriages, but your underlying belief is that men don’t stick around, that belief will recreate that scenario for you again and again. If you consciously know you’re a great catch, but that childhood trauma or past boyfriend convinced you that you’re “not good enough,” (your underlying belief) your subconscious mind will prove you right by delivering more self-doubt situations. 3. You can learn how to use your powerful subconscious mind to your advantage. When you authentically, deep-down feel strong, confident and happy with yourself, you will be able to attract a man with the same qualities. He is on your same “wavelength” or frequency. Delete disempowering self-talk and victim stories that attract men who want to rescue a damsel in distress, and you’ll get a man who respects and admires you for who you are inside. Not one who has to rescue someone to feel worthy of love himself. See how someone who is tragic and someone who needs approval are on the same frequency? 4. Your emotions create your life from the inside out. Another life-changing benefit comes from paying attention to your emotions. How you feel about you, your friends, work, the websites you visit, the TV shows you watch… everything? 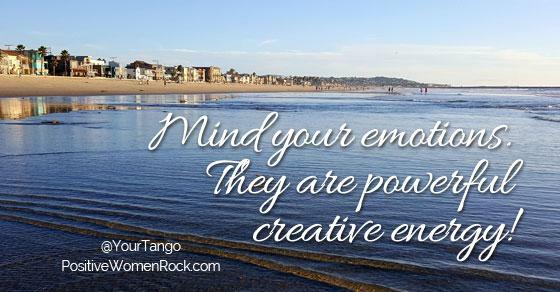 Emotion is your most powerful creative energy. Feeling down, dismal, disappointed, frustrated, angry, hurt, sad, and damaged? Those negative emotions can draw in people and situations on that same low energetic level. Oh, they may look good to start with but just wait and you’ll see they are more negative than positive. Feeling happy, grateful, joyous, confident, free, lightweight, sunshiny, passionate, enthusiastic, you will attract completely different, much more positive and empowering people and opportunities into your life! You have what it takes. Look at who you are now and who you’d like to be and if those two differ, a breakup is a great time to make adjustments and upgrade your life.